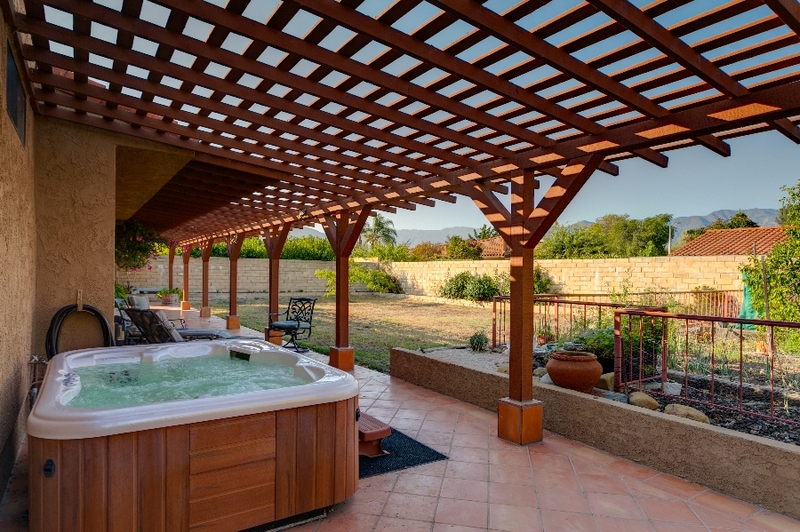 This Rancho La Vista Estates home has lots of space for entertaining and a large backyard perfect for outdoor living with great views. 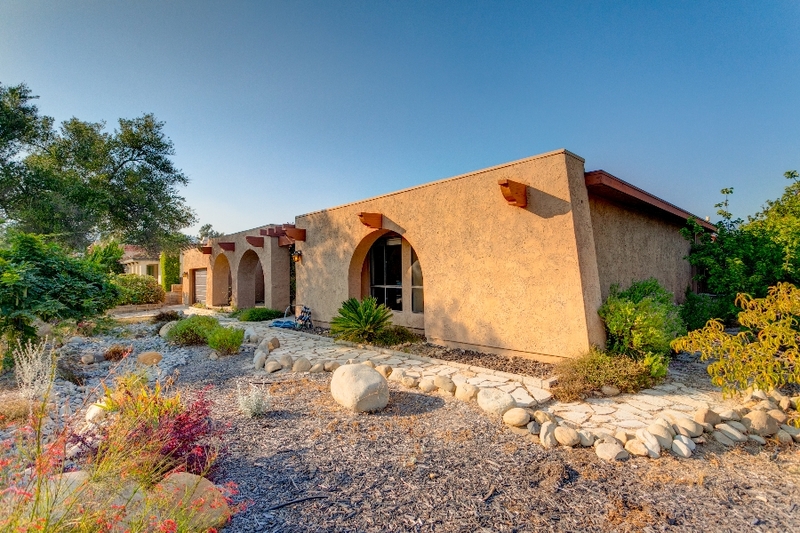 The facade exudes southwest style, while the corner lot and block wall enhance privacy. There is a sunken living room with a fireplace, casual and formal dining connected to outdoor entertaining areas, a master suite with an en suite bath and walk-in closet, and a remodeled kitchen with granite counters, travertine back splash, tile floor, alder wood cabinets and soft-close drawers. Of the three spacious guest rooms, one is tucked away on the other side of the kitchen along with a bathroom and access to the garage and backyard. This may work well as quarters for a nanny or a long-term guest. The formal dining room with lots of natural light and French doors leading to the front porch could also make a great home office. Community amenities include a swimming pool, tennis court, basketball court and outdoor entertaining area with BBQ.